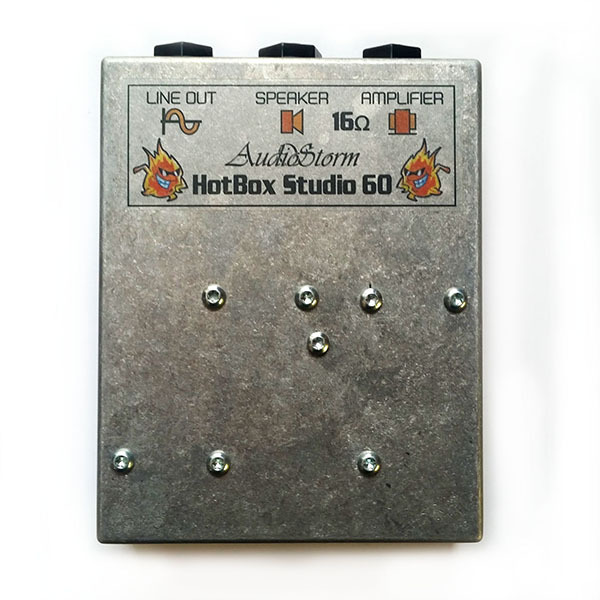 The HotBox 60 Studio is a power attenuator, also sometimes called a power soak, designed to absorb 90% of the output power from your amplifier so that you can overload valves and transformer without deafening yourself. This allows you to capture the rich, overloading tones of vintage amps running at eleven, but without the hearing damage. The HotBox 60 Studio is an ultra-compact, exceptionally cost effective power-attenuator that enables you to drive your valve amp brutally hard into those sweet overload conditions yet output the perfect volume for recording or loud jam sessions. Simply connect the HB60 between your amplifier's output and the speaker itself then turn your amp up to overload levels and 90% of the power will be absorbed and turned into heat leaving you with the REAL and UNIQUE sound of YOUR amp overloading but at a manageable volume. The HB60 Studio has a fixed reduction ratio that is ideal for reducing amplifiers of between 15 and 60 watts down to the perfect volume for studio recording, jam sessions and small gigs. For amplifiers of between 5 and 15 watts it will reduce the output down to a level suitable for jamming and rehearsing by yourself. This is our most popular unit. 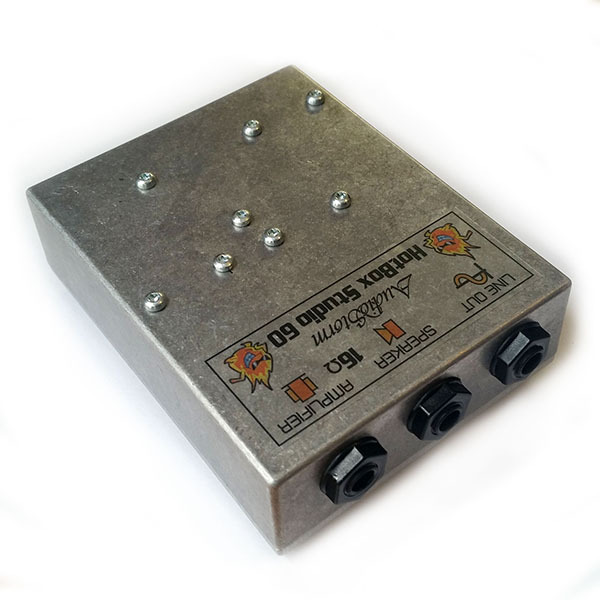 Suitable for any valve amplifier upto 60 watts. Perfect for extended use and abuse jamming out, in the studio or on stage. Available in 16 ohm, 8 ohm and 4 ohm versions. 10:1 power reduction ratio turns a 50 watt amp into a 5 watt amp or a 15 watt amp into a 1.5 watt amp. Made in Manchester, UK using premium British made, aluminium clad power resistors. Simple and indestructable: Gets the job done with no messing about.